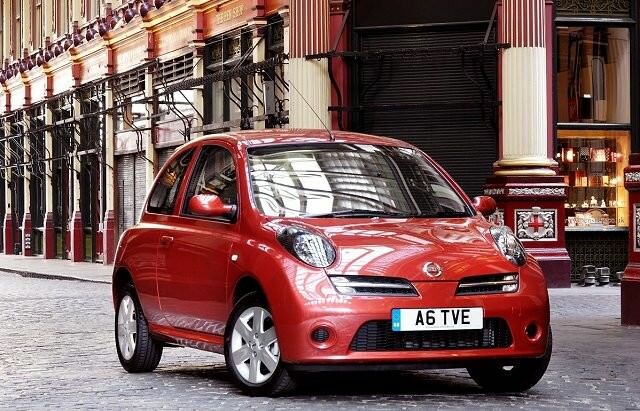 If you’re in the market for a Nissan Micra this recently replaced model is the car to go for. Better to drive, of better quality and more attractively styled inside and out it’s a far more convincing supermini choice than its newer relation. A sensible used small car for savvy buyers. Introduced in 2002 and built until 2010 the Nissan Micra shares its underpinnings with Renault’s Clio. That means it drives well, while Nissan’s reputation for reliability is comforting too. It was replaced in 2010, but oddly, Nissan’s new Micra lacks the charm, style and quality of this car, making the ‘old’ Micra something of a desirable used bargain. Quirkily styled inside and out the Micra might not be very exciting, but it’s a fine supermini buy. Introduced in 2002 and given a mild freshening up in 2007 the Nissan Micra is a mainstay in the supermini marketplace. It might lack the driving verve of competition like Ford’s Fiesta or the Mazda2, but fine reliability, solid build and a clever, high quality and spacious cabin make it a desirable small car. The upright driving position and good access make it easy to live with, while the Micra is available in both three- and five-door hatchback guises. There’s a convertible too, badged C+C, but its folding hardtop does make for unusual styling around the back and tiny, useless, rear seats. The engine line-up is predominantly made up of small petrol engines of 1.2- to 1.6-litres in capacity, with a single 1.5-litre dCi turbodiesel choice with 86hp. Trim levels follow Nissan’s norm, for the time you’re buying it, with Visia, SV, XE, SXE, Elite, Sport and a myriad of other trim levels available during its life cycle - so take time to check out the specification list on each. Middling models come with everything you could reasonably want including air conditioning on many. An automatic gearbox is available too instead of the standard manual transmission. The 1.2-litre petrol engine makes up the majority of sales and it’s not difficult to see why. It’ll consume 5.9 litres/100km on the official combined cycle if driven sensibly and feels quick enough for town traffic. A manual SXE car features air conditioning and alloy wheels among other desirable equipment and it's the one to go for. Later examples should still have the balance of Nissan’s warranty on them. Nissan Micra 1.2 SXE 5dr.